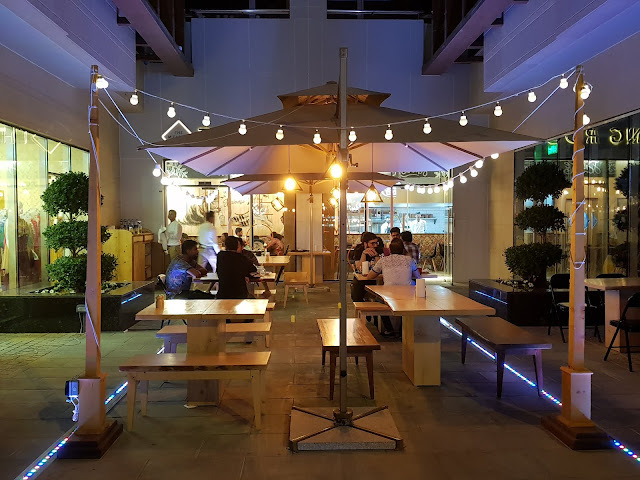 We all love Lebanese food, and there are so many new restaurants coming up, that we're spoilt for choice. 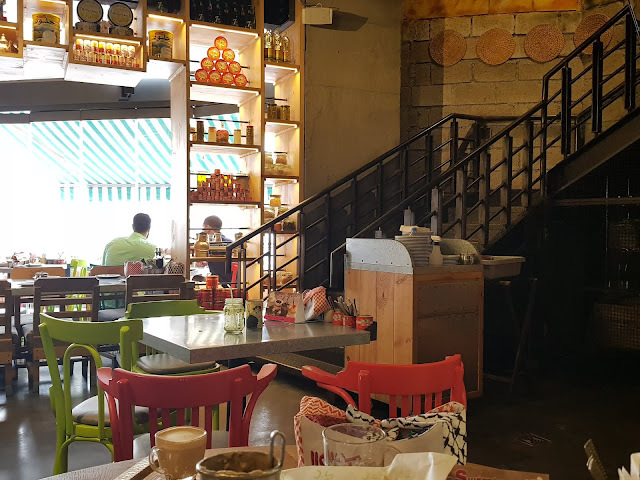 Zaroob has been a well-known name for Lebanese food since quite some time, and having visited other outlets, I can say their food is good. This time I ended up going with a vegetarian friend of mine for a light bite, and even I stuck to vegetarian. We had a foul jar this time. If you're familiar with foul medammes (fava beans), this one is similar; just that it comes in a jar. Along with it they give you chopped onions, tomatoes and parsley that you can add to it. You can also get hot bread with it if you like, just like we did. I've had koshari at other places, and it's always been non-vegetarian. Here, it is vegetarian, and when I saw that I realised that most of the ingredients in a koshari are vegetarian, except for the meat which is added separately. They didn't have meat in this one. Viola! Here was a delicious koshari. This is a small place located in Oud Metha / Karama, and I wouldn't have known about it had my friend not suggested it. If you go in a small group, you can easily tell them to bring "one of everything" on the menu. This place has a total of about 10 items on their menu. The good thing about this is that they're focused on these dishes and make them extremely well. Their kebabs are really delicious and this is an understatement. The Lucknow kebab was my favourite here. It is a flat and big kebab made with some great spices. It just melts in your mouth. The Shami kebab was also something which we totally loved. These are small, flat and round, and you get 4 pieces in one portion. These too melt in your mouth. 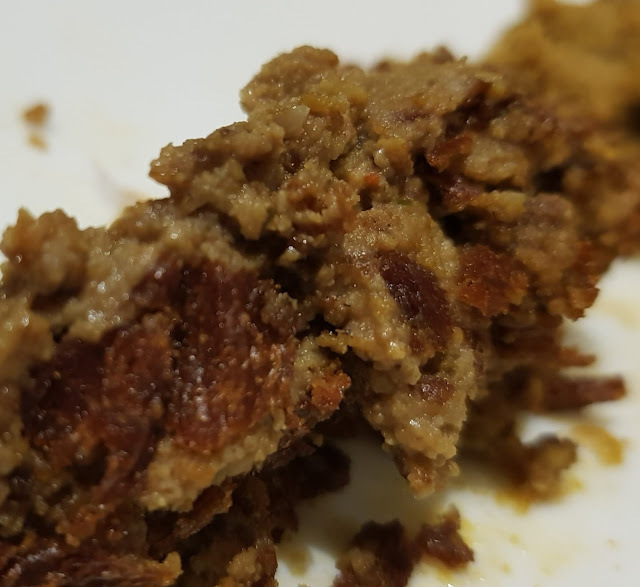 The Seekh kebab was very flavourful and soft. I'm sure you cannot stop at one bite. We also had the kofta curry. The meat was soft and well-cooked in this. This is one of my favourite Thai food restaurants; I've been to other branches and decided to check this one out. 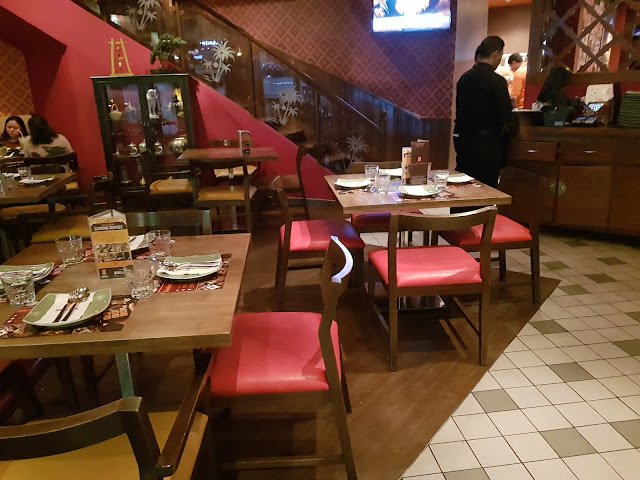 The ambience is nice with the brown and red theme just like the other outlets. This one is a little bigger though. They also have valet parking. Pad Thais are one that I really like and this time I ordered the Bamee Pad. These are stir-fried egg noodles, along with egg, soy sauce and vegetables. We took these with prawn. They're topped with bean sprouts that are crunchy and complement the flavour really well. This one of-course was really delicious. No doubt about that. For the curries, we had the Gaeng Garee Gai which is the yellow curry. It has a mild flavour to it and contains boneless tender chicken along with a few vegetables. We were thinking of having something more but this one was really filling for two people. We had this with the jasmine rice. Walking along the marina, we spotted this restaurant and decided to go in for a light bite. This restaurant and La Gaufrette share their seating space. The seating for Bazerkan is enclosed while that of La Gaufrette is open, which is where we sat. They gave us the menu for Bazerkan. 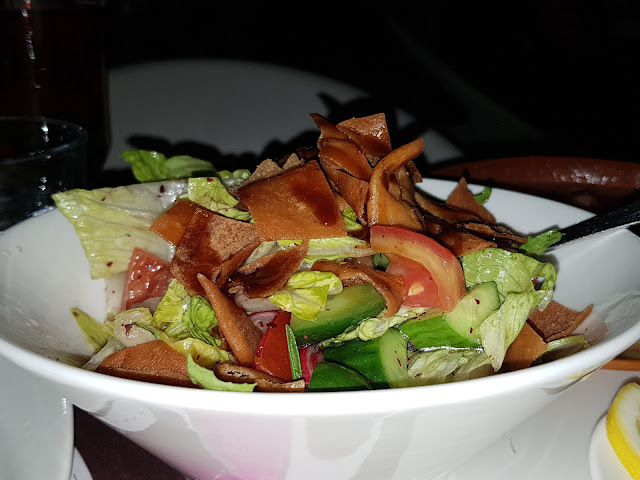 We started with a fattoush. The quantity was a lot for two people. It was made pretty well. Then we ordered the foul medammes. There was a bit more lemon than usual and it tasted a bit zesty for our liking. Though the hot bread that was there along with it mellowed it down a bit. Last but not the least, we had the moussaka batinjan. It is made from eggplant and mixed vegetables. I really liked this one, though it took a few bites to like the flavour. My friends didn't quie enjoy this. Not a bad place overall. The vibe doesn't feel very lively for some reason. The word "sthaan" in Sanskrit means place; it is also used in the names of the countries - Hindustan, Pakistan, Afghanistan - among others. I mentioned these three specifically since that's where the restaurant gets its name from since it serves food from these three countries. This restaurant started a few months ago and I've been hearing quite a bit about it, and wanting to go myself. Alas we decided to check it out the other day. We ordered the dhaba murgh. A "dhaba" refers to the roadside outlets, and "murgh" is chicken. This was one of their specialities here. It is made with aromatic spices, and the chicken was really succulent. One of my favourite desi dishes is the haleem; but it isn't something that everyone gets right. We decided to order one nonetheless, and it was superb. The consistency of this one as well as the flavour were both on point. We had this along with butter naan (Indian bread). This place has a really catchy name, and the first time I heard it, I couldn't wait to try it out. During peak hours it might be a bit of a hassle to find parking here. Also, this place is a bit smaller and less sophisticated than I expected. They have an outside area that is open as well as a closed area. While we decided what to order, they got us some nice crisps to munch on. We started with the "O' So Cheesy". This place has really interesting names for most of their dishes. These were the onion rings. They were big & crispy, and stuffed with mozzarella cheese. These were pretty good; and the marinara dip along with it made it better. Their kebabs seemed really appealing, and so we decided to have the Bihari Bhaiya. The pieces of chicken were really soft, and mildly spiced; served with a mint sauce (chutney) along with it. I'm a fan of Kulcha king since a long time and I really like their kulchas. I've tried out different varieties and they all are pretty good. I especially like the tangy chutney (sauce) that they give along with the kulchas. For something quick to munch on, we ordered a portion of masala papad. 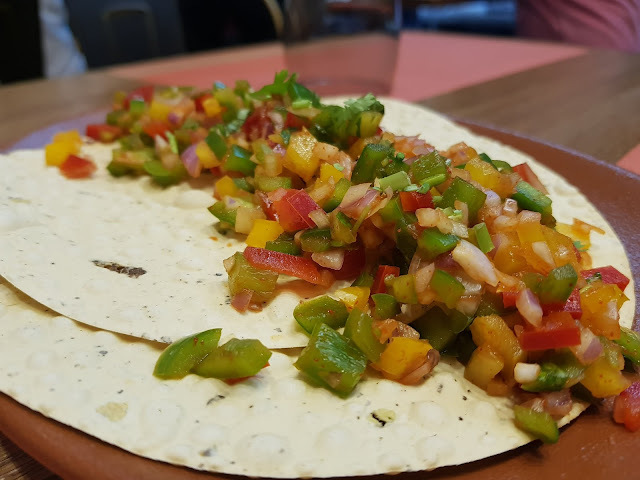 I liked the way it was generously topped with finely sliced tomates, onions, and capsicum. The topping were contained in the middle of the papad, and the whole papad did not become soggy as you had it. 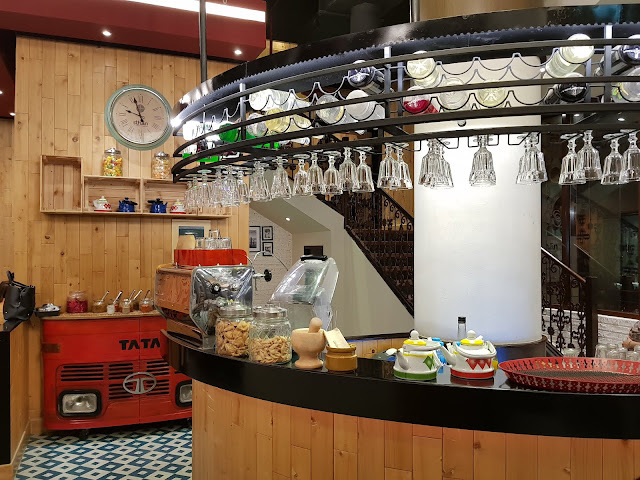 There are a lot of Italian restaurants coming up these days and each of them has their own speciality. What I found special about this place was the interiors. 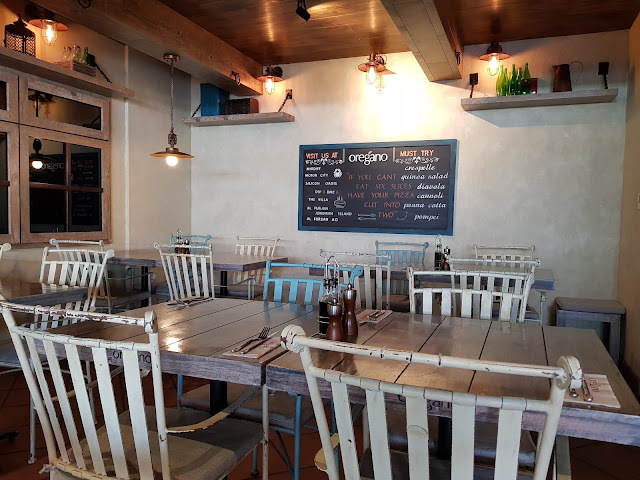 It is a bit rustic but not like the rustic interiors we see these days; it gives a feeling that the restaurant is from the Europe that was a few decades ago. It feels a bit cosy too (of-course this is if you're sitting inside). When the invited me I thought this would just be another Italian restaurant but the interiors proved me wrong. There is a huge variety of items in the menu and as we pondered upon what to order they got us some bread along with a couple of nice dips to munch on. We started with some Arancini, i.e. fried rice balls that were stuffed with baby shrimp and mozzarella. These were really cheesy and a bit crispy from the outside which I really liked. They were served with a pesto dip. The good thing is that this starter does not make you feel too full.